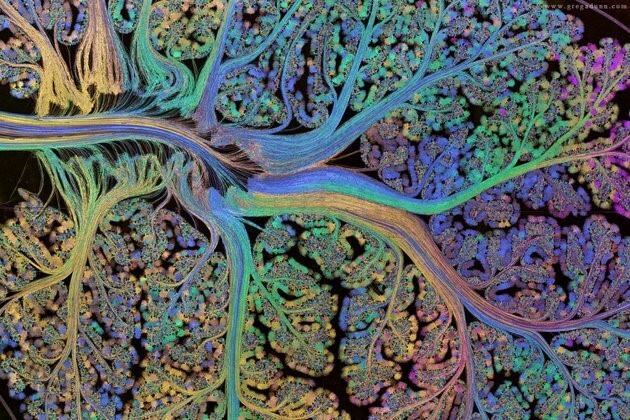 Two artists with neuroscience inclination, Greg Dunn and Brian Edwards (U.Penn) created a spectacular artwork depicting the beauty and complexity of the human brain. 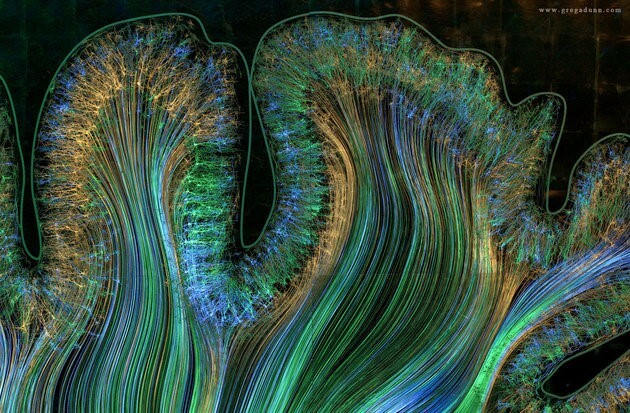 Their goal was to reveal the brain in a way that makes an emotional impact, and they succeeded. The medium is an 8-by-12-foot panel named Self Reflected, a thoroughly evocative title in itself. 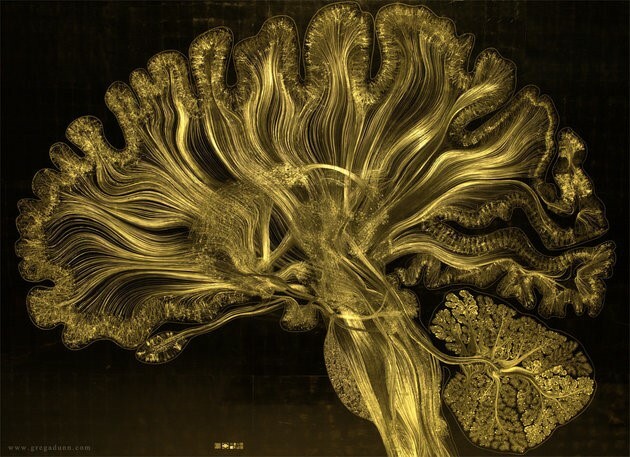 It is an animated surface created using a micro-etching technique to paint neurons as microscopic ridges on a reflective gold sheet. 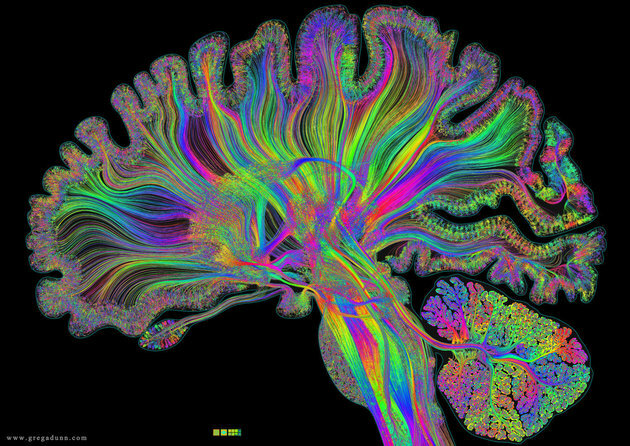 The ridges reflect light from certain angles, so by moving the light source the image appears animated creating the illusion of electrical activity in the brain. The project was described very well by Bahar Gholipour writing in the Huffington Post. My intent is only to show you some great images and vids and entice you to visit the installation and read Bahar’s piece. I hope you get a chance to experience the Dunn & Edwards Self Reflected installation in person and even if you don’t, take a moment to reflect on how exquisite the biology that gives us consciousness, emotion, creativity and individuality. And remember what Grace said, “Feed your head“.